Thinking of names for your future children or grandchildren? How about considering a saint’s name? May is typically a busy month for baptisms – at least in my parish. Many are surprised to discover that the custom of given children a Christian saint’s name may be traced back to the infancy of Christianity. It seems that people of what are now modern day France and Germany were among the first to begin this practice, which quickly spread throughout Europe. The name of Jesus has typically been held in reserve by almost all cultures, with the notable exception of the Spanish. Just so the guys do not feel left out, and yes, some have taken obvious Marian names, e.g. 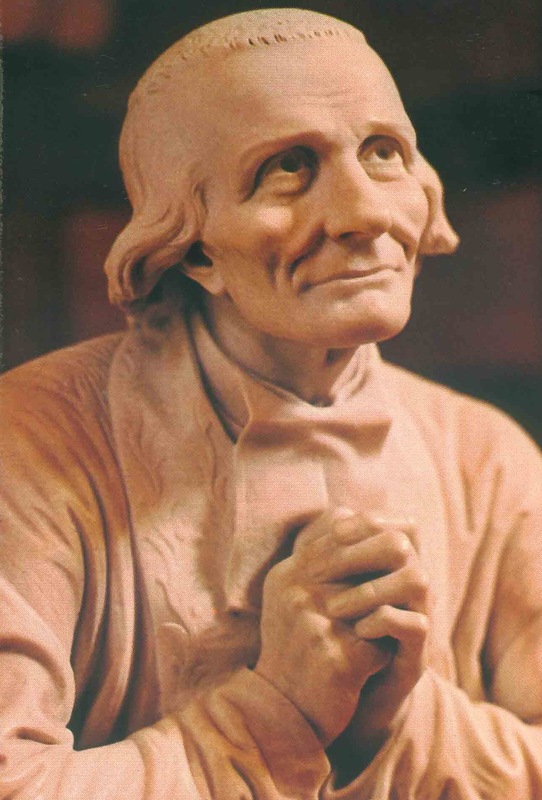 Saints Jean Marie Vianney and Alphonsus Marie Ligouri, here are a few masculine forms: Gilmary, Gilmore, Melmore, and Myles (all deriving from “servant of Mary,” as do the surnames Gilmartin and Kilmartin), and Marion. Oh, my four children, they are named for the saints whose feast days are the same as each child’s birthday… I’m trying to walk the talk. This entry was posted in Deacon Marques Silva and tagged Marian names, May, saint names. Bookmark the permalink. Your kids sure got lucky with good names. If we went with birthday patrons we would have Benedicta (or Olga), John, Augustine, and Josaphata. That would be pretty rough on the girls at least.